A standard FEL lamp, such as the one pictured here, is about the size of a person's thumb. 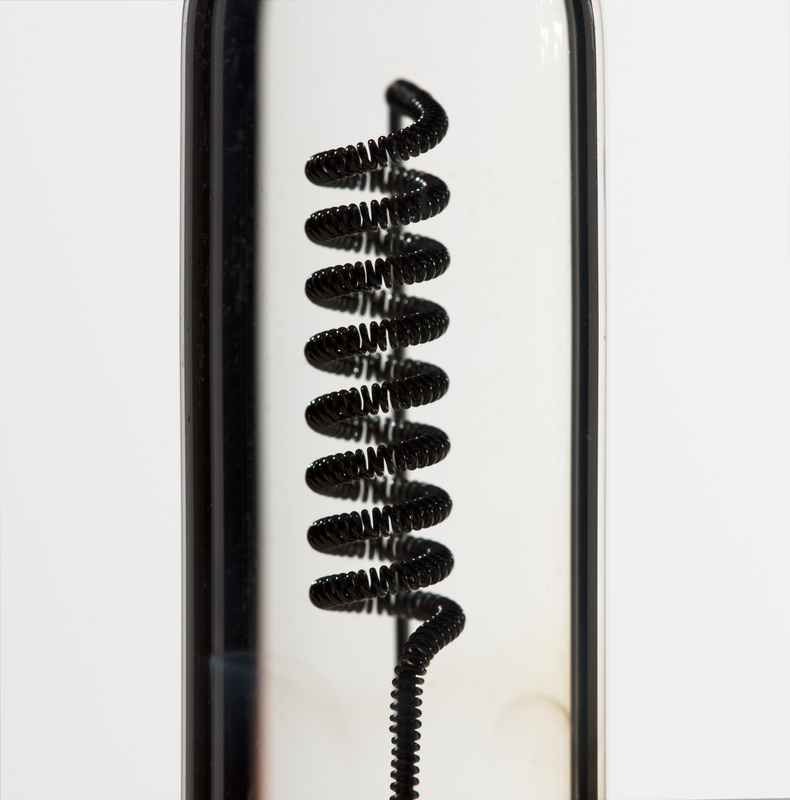 Close-up of an FEL lamp revealing its "coiled coil" filament. Behind the lamp is a white reflectance plaque like the ones used in calibrations.